Kiyomi is an enigmatic artist, with a powerful instinct for music marked by her own introversion, who explores the dynamics of pop on her own terms. 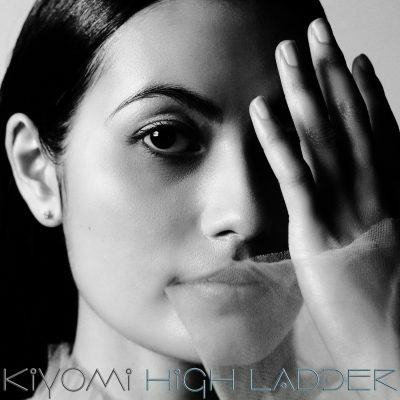 The influence of fine art on her career is apparent from her debut release, “High Ladder.” Its video focuses on a statue of Kiyomi, trapped as external factors dance around her. It reflects how a paralysis can pervade our physical body as well as our psyche – indeed, the song is about achieving something significant while continuing to struggle. Kiyomi’s no victim, though. Her confidence comes through via her art, and production cues and anthemic lyrics land her squarely in the realm of electro-pop. In practice, however, no genre can contain her spirit. Kiyomi calls her music exploratory, suggesting that the emotions that drive her art are the very ends that we seek for entertainment—they cannot and do not meet the standards of those compartmentalized labels. Every feeling fuels, or more accurately, manifests into her art, creating a representative tapestry of the human experience. Kiyomi and the music she makes are conduits to a more important truth. “Beauty and the strange lock lips every day,” she offers in “High Ladder,” before checking her unmarred lipstick and continuing with an insistence that aesthetics are anything but skin-deep: “beauty never fades.” The track was recorded by Nick Launay, the legendary producer and engineer who has worked with Yeah Yeah Yeahs, David Byrne, Nick Cave, Gang of Four, Kate Bush, and more.